On Sale Now! Save 4% on the YITAMOTOR Compatible for Honda Accord 2003 2004 2005 2006 2007 Keyless Entry Remote Car Key Fob OUCG8D-380H-A with 46 Chip by YITAMOTOR at Atoz Car Rental. MPN: K-4-A005-x1y. Hurry! Limited time offer. Offer valid only while supplies last. Description: 1. Condition: New, never used replacement part. 2. FCC ID: OUCG8D-380H-A. Replaces P/N: 35111-SHJ-305. For IC/Other: 850G-G8D380HA. 3. 1. Condition: New, never used replacement part. 2. FCC ID: OUCG8D-380H-A. Replaces P/N: 35111-SHJ-305. For IC/Other: 850G-G8D380HA. 3. Package: Complete key fob with electronics, battery and key ring. Enter model, year and make of vehicle on links below to find programming steps. Please check the compatibility before your purchase, make sure it is exactly what you need. For any question, welcome to contact us. We will offer satisfied solution at first time. FITMENT- FCC ID: OUCG8D-380H-A. Replaces P/N: 35111-SHJ-305. For IC/Other: 850G-G8D380HA. 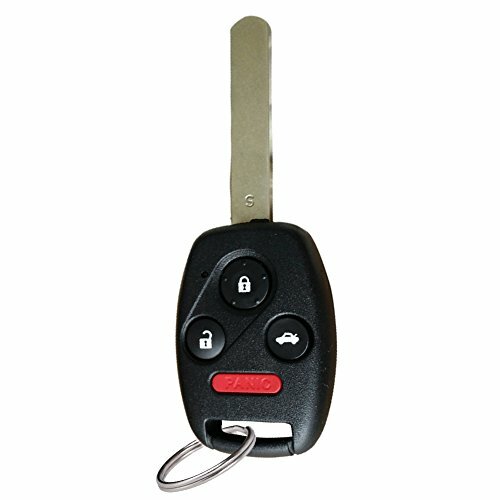 REPLACEMENT- Complete keyless remote with electronic board and battery. New, never used replacement part. PROGRAMMING- Remote is self-programmable with one working key. Key Programming: Dealer/ Locksmith programming only. INSTRUCTION- Enter the year, model and make on http://freeremoteinstructions.com, http://www.keyfobprogram.com, http://www.programyourremote.com, programming steps will be listed for you. NOTE- If you do not have working key, remote needed to be programmed by dealer or locksmith.